No matter where you live or what steps you take to safeguard yourself, you could encounter pests when you least expect it, and you might be wondering what you should do to get rid of them when they strike. If you are like many homeowners who want to save money, you are curious about at-home solutions that promise to get the job done. However, pest control products from the store won't always give you the results you had expected. Many pest control products promise to treat a range of pests, but no solution is universal. Buying the wrong pesticide or treating for the wrong pest will stop you from getting rid of the invaders. Many people repeat this mistake several times before realizing that their approach is not working. You can find some pest control products that work if you know where to look and can identify the pest with which you are dealing. But before you move forward, make sure that you read the label so that you will understand the risks to which you could be exposing yourself, your pets and your family. Many at-home products can create health hazards that you will want to avoid if you care about your well-being. Choosing this option is not always worth the danger, and you will have to consider what path makes sense for you. You could still put yourself in harm's way if you read the label but are not trained to perform pest control. Most people learn the hard way that at-home pest control products sometimes make promises that they can't keep. If you go to the store or shop online and buy a pest control product, it might not even make a difference in the long run. Buying pest control products that don't work is a waste of money because the pests will still be in your home, but that's not the worst part. Inability to contain an infestation promptly will let the pests spread and become even harder to manage. You will then need to pay even more to have a professional handle your pest issue, and you don't want to fall into that trap. 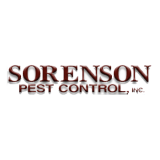 If pests have invaded your home or property and you want to do something about it, you can't go wrong when you enlist help from the experts at Sorenson Pest Control. Our trained and dedicated team will come to your location, learn about your needs, and eliminate the pests that have overstayed their welcome.